Goji / 60 Vcaps - Nature's Way®. 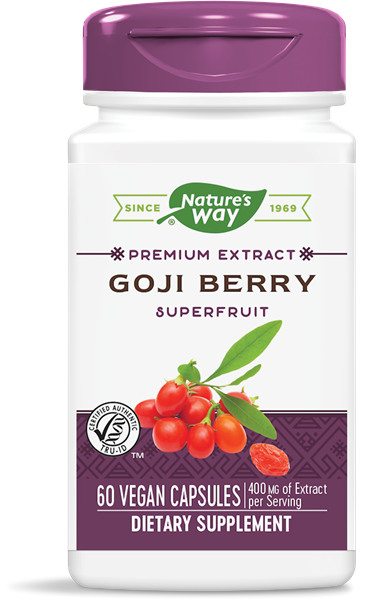 Goji Berry (Lycium barbarum) is standardized to 40% Polysaccharides. Take 1 capsule one to three times daily. If pregnant, nursing or taking any medications, consult a healthcare professional before use.